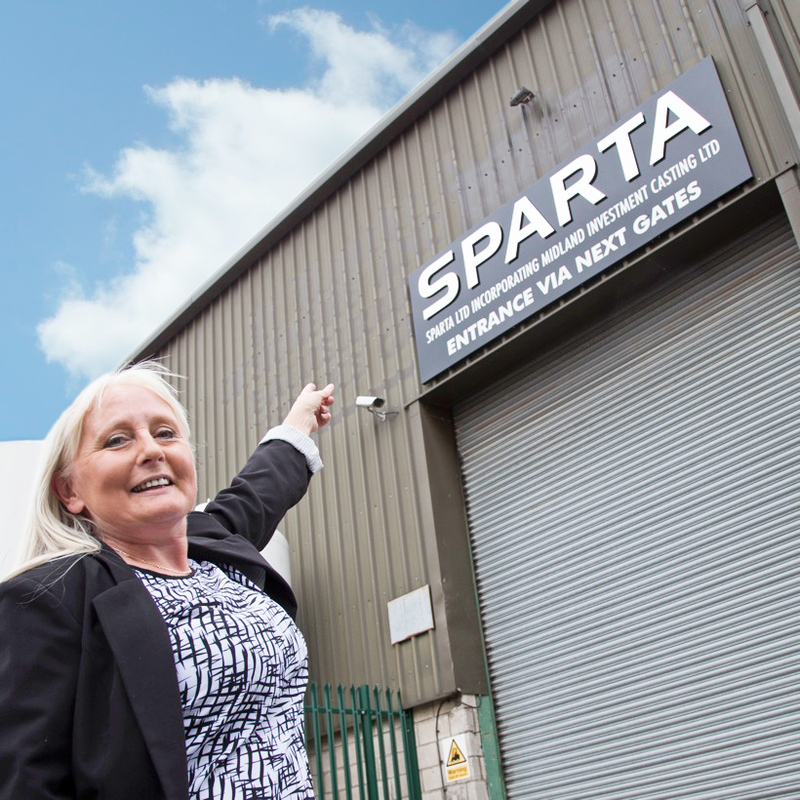 SDA’s Sue Lawson showcasing the Sparta’s new signage. When Sparta and Troy – part of the SHD Group of companies – relocated to Burnley from Rossendale they were looking for bold signage to announce their arrival in town. SDA designed, produced and fitted a host of bespoke signage including directional signs, health and safety gate signs, reception and car park plaques as well as large roadside signage with full branding for Sparta and Troy, which specialise in laser cutting and metalwork. Stephen Davenport, managing director of the SHD Group is very happy with his newly branded up premises and is looking at commissioning SDA to produce even more signs in future. Can we help put your name in lights? Call Sue Lawson on 01282 426846 or email zahida@scottdawson.co.uk to set up a meeting or get a quick quote. This entry was posted in signage and tagged bespoke signage, car park signage, directional signs, reception signage, roadside signage, signage, sparta on September 30, 2014 by admin.